I can't believe January is coming to an end. I could not have done this month of salads without the help of all my guest bloggers, how fantastic they all were! 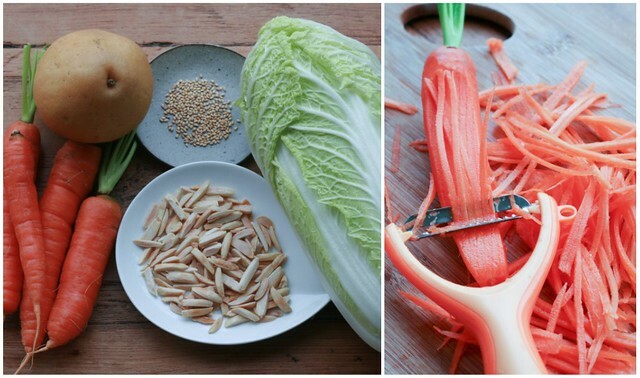 Today our last guest blogger Mary, The Food Librarian, is here to show us how to make a napa cabbage salad. The Food Librarian was one of the first blogs I ever started reading. I love that we've been blog friends for so long. You can also follow her on twitter and Facebook. Thanks Mary. 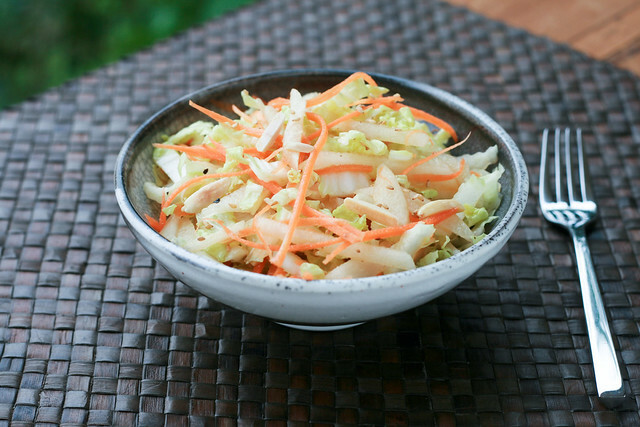 This simple salad combines Napa cabbage, toasted almond silvers, Asian pear, carrots and sesame seeds. Have you seen the Julienne Peeler? It comes in handy making nice carrot julienne strips. I'm a big baker but love salads. 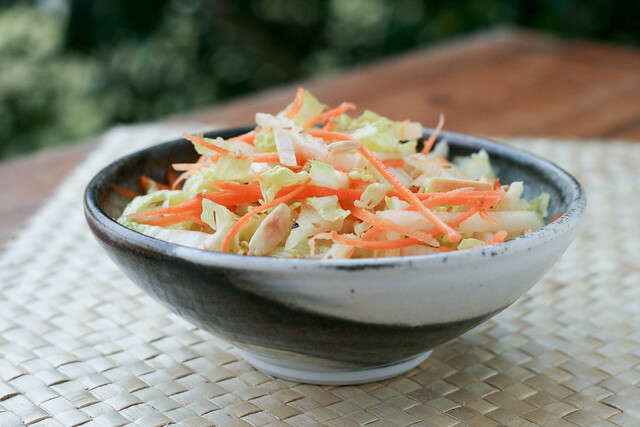 My favorite salads combine vegetables and a bit of sweetness. 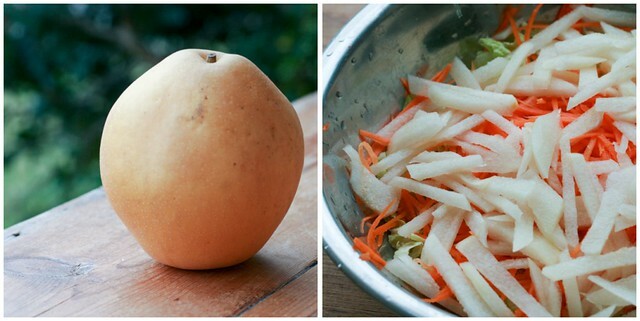 Asian pears are perfect because they have a great crunch and don't brown like regular apples. Pick up some Asian pears when you see them in the farmer's market!